First recorded by The Sensational Epics (1968). Hit versions by The Tams (US #61/R&B #26 1968 |UK #32 1970), Sonia (UK #22 1991 |MOR #13 1992). Also recorded by Booker T. & the MGs (1968), The Gentle Touch (1968). From the wiki: “‘Be Young, Be Foolish, Be Happy’, co-written by Ray Robert Whitley and J.R. Cobb (‘Spooky‘, ‘Do It or Die’), was first recorded by The Sensational Epics in 1968. 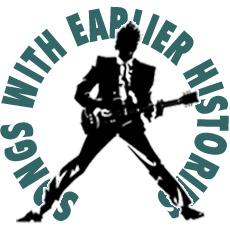 “The Sensational Epics were formed in 1963 as a five-piece group based in Columbia, South Carolina, at first playing primarily for high school and college fraternity & sorority functions, performing what became now known as Carolina ‘Beach Music’. The group’s first national release on Cameo was ‘I’ve Been Hurt’. In 1968, the group recorded “Be Young …”, produced by co-writer Whitley for Warner Bros. Records, with no apparent chart success. “The Tams formed in 1960, in Atlanta, Georgia, and took their name from the Tam o’shanter hats they wore on stage. The group first reached the Billboard Top-40 in 1962 with the Joe South-composed ‘Untie Me’, and hit the Top-10 in 1964 with ‘What Kind of Fool (Do You Think I Am)’. ‘Be Young …’, released in 1968 and produced by Joe South (‘Games People Play’, ‘Rose Garden‘, ‘Hush‘), was their only other charted hit, modestly peaking at #61 on the Billboard Hot 100 and #26 on the R&B chart.